Wood & Multifuel stoves not only look great but can supplement or even replace existing heating systems. To help you choose your perfect stove we’ve put together this simple guide. Browse the links below and if you would like to know more simply complete the enquiry form or pop into our Coventry showroom. 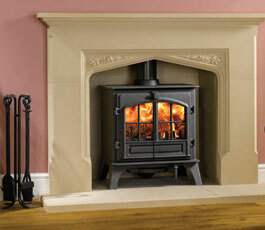 The Riva Plus Large stove from Stovax, can create a magnificent focal point in your home.